If you are under the impression you will never be able to win consistently at a casino because of the house edge, think again. There are games in which an element of skill can reverse the house edge in favor of players, and there is one group of players who thrive in these games – good poker players. On the face of it, poker and skill-based casino games appear to be two different animals. 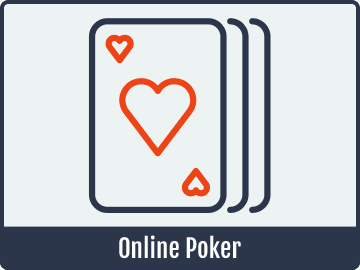 Whereas poker and online poker are games based on theories – and played against opponents with different styles, different motives and in different states of mind – skill-based casino games such as Blackjack and Baccarat are based on probabilities and played against the house. Both games (poker and Blackjack) take intelligence, discipline and nerves of steel, but don´t make the mistake of treating the two disciplines the same way. One interpretation of this statement could be that it takes skill to learn a second and third language, even though they both use different words. There are plenty of poker players who have adapted their skills to master skill-based casino games. 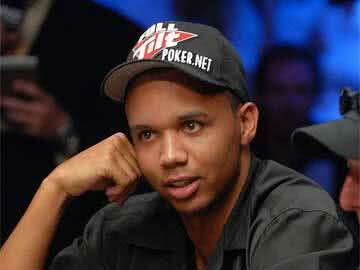 1994 World Series of Poker champion Russ Hamilton thrived at tournament-style Elimination Blackjack, three-time WSOP bracelet winner Shaun Deeb famously built a $300,000 bankroll playing online Blackjack, and Phil Ivey took a London casino for more than $10 million playing Punto Blanco – a version of Baccarat. The transference of skills works in reverse too. During the mid-1990s, Andy “The Rock” Bloch ran one of the most successful stables of the MIT Blackjack Team. Bloch was subsequently banned from every Las Vegas Blackjack table and started playing poker for a living. To date he has won more than $5 million playing live poker tournaments. Why do good poker players profit playing casino games? In addition to needing “intelligence, discipline and nerves of steel” there are three main reasons – game selection, a knowledge of odds, and a sensible betting strategy. All three factors are pivotal to playing poker successfully, so players able to transfer these skills to casino games are naturally going to profit more often. However, it is not necessary for you to play poker in order to develop these skills. 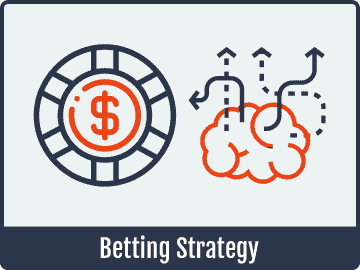 All you need to understand is how to select the right game to play, how to work out your odds, and what constitutes a sensible betting strategy .Each of these factors is explained in greater depth below, as well as how you can apply these skills to online casino games. There are two types of casino games – “Independent Variable” and “Dependent Variable”. Independent variable means the outcome of one game does not affect the outcome of the next game. So, in roulette for example, the fact that the last winning number was black has no influence over where the ball will land on the next spin of the wheel. Craps and slots are also independent variable casino games. 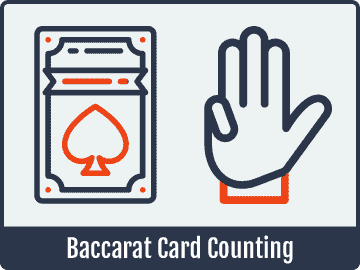 By comparison, in Blackjack and Baccarat games – particularly as the dealer gets closer to the end of the shoe – players are aware of which cards have been dealt and can calculate the likelihood of a high-value card or a low-value card being dealt next. A similar principle also applies to a degree in multi-player Caribbean Stud when the player is last to act – despite the cards being shuffled between each hand. Selecting a dependent variable casino game is only the first stage of selecting the right game to play. You also have to understand the different rules under which each game is played in order to minimize the house edge. For example, in Blackjack there are nine different factors that determine the house edge. We have rated them from a player´s perspective. Number of decks of cards used (the fewer the better). Dealer Stands or Hits on Soft 17 (Stands is better). Player can Double after a Split (Yes is better). Double on any two cards (Good), 9-11 only (not so Good) or 10-11 only (Worst). Number of hands a player can re-split to (the more the better). Player can re-split Aces (Yes is better). Player can hit split Aces (Yes is better). The Surrender Rule applies (Yes is better). Blackjack pays 3:2 (Good) or 6:5 (Bad). In the best possible scenario (one deck, dealer stands on soft 17, double after a split, etc.) the edge is actually in the player´s favor – albeit by only 0.37%. Therefore the likelihood of finding the “perfect game” of Blackjack is extremely remote. However, the more factors you find in your favor, the better your chances of winning in a dependent variable casino game. Your knowledge of the odds (the likelihood of a high-value card or a low-value card being dealt next) should be used to determine your betting actions rather than relying on “standard strategies” or a gut instinct. For example, if you were dealt a pair of Tens in a hand of Blackjack against a weak dealer upcard, the standard strategy is to Stand. It is most players´ gut instinct as well. 83% of the time you would be right to Stand. However, if you are aware the undealt cards remaining in the shoe are “ten-rich”, it can be to your advantage to split the pair of Tens and (hopefully) double your winnings. Similar principals apply when deciding whether to Double your bet against a weak dealer upcard, or Hit when you have a weak hand against a strong dealer upcard. A lot of players are averse to hitting with a weak Blackjack hand against a strong dealer upcard – hoping the dealer will bust and they will win the hand. 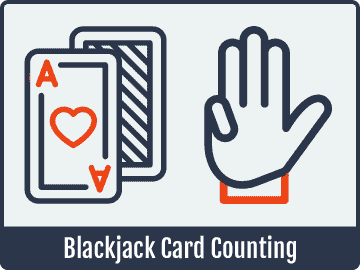 In general play, this strategy only works 33.15% of the time (the dealer wins the hand the other 66.85% of the time), whereas the odds of improving a weak Blackjack hand (i.e. a hard 15) by hitting are 46.15% – a difference of 13% in the player´s favor. The difference improves significantly when the most recent hands have been “ten-rich” and you are aware there is a higher percentage of low-value cards remaining in the shoe. Applying your knowledge of the odds in these circumstances could increase your chances of winning to more than 50% – turning you into a profitable casino game player. The first rule of betting systems is they don´t work. If the Martingale system, Fibonacci system or D´Alembert system worked, there wouldn´t be any casinos. Poker players know this, and not only apply sensible betting strategies when playing casino games, but also only bet within what their bankrolls allow following bankroll management best practices. Bankroll management entails only taking a small percentage of your bankroll to the tables so that – although it matters whether you win or lose – losses are more controlled and manageable. If you have ever played online poker, you will undoubtedly have heard the phrase “going on tilt”, and bankroll management ensures that, if you do go on tilt, it will not signal the end of your entire bankroll. It doesn´t matter if you know nothing about bankroll management. The bottom line is take no more to the tables than you can comfortably afford to lose and then bet at level stakes throughout the session – carefully observing what cards have been dealt and applying your knowledge of the odds. However good or bad you run, never increase your stakes to accelerate your winnings or chase your losses. It takes discipline and a cool head to maintain a sensible betting strategy, but it can pay dividends in the long run. If you feel you have the attributes it takes to select the right game to play, apply your knowledge of the odds to make the correct betting decisions, and maintain your equilibrium on the occasions when the cards don´t fall in your favor, visit your local casino and put your skills to the test. There are very many online casinos offering skill-based games that fall into the category of “Dependent Variable”, but there is a significant difference between playing in a live casino environment and online inasmuch as online casinos use Random Number Generators (RNGs) to select which cards are dealt next rather than place four, five or six decks of cards into a shoe and deal the cards sequentially. This negates the benefit of card counting in Blackjack except in Live Dealer casinos that recreate the live casino environment. 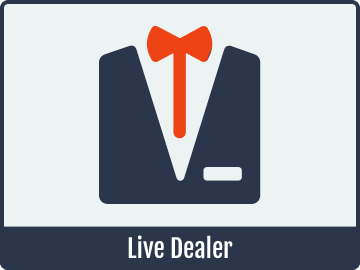 Consequently, the Live Dealer area of the online casino is where you should head to apply your skills to online casino games – after determining which online casino has the most player-friendly sets of rules (i.e. the rules that minimize the house edge). Before attempting to emulate experienced and well-bankrolled poker players at an online casino, we suggest you first observe the action to determine whether you would have made the right betting decision at the time and in the circumstances. Only play in online casinos for real money, once you are confident you have developed the skills necessary to profit playing casino games.